TVS Motor Company has launched the Matte Series colour range for the TVS Victor Premium Edition. The two new colours are Matte Blue (with white) and Matte Silver (with red). The Premium Edition comes with chrome side cover and gold finish on the clutch cover as well. The new colour variants feature chrome detailing on the visor and a dual tone beige seat. TVS launched the Victor Premium Edition in September. 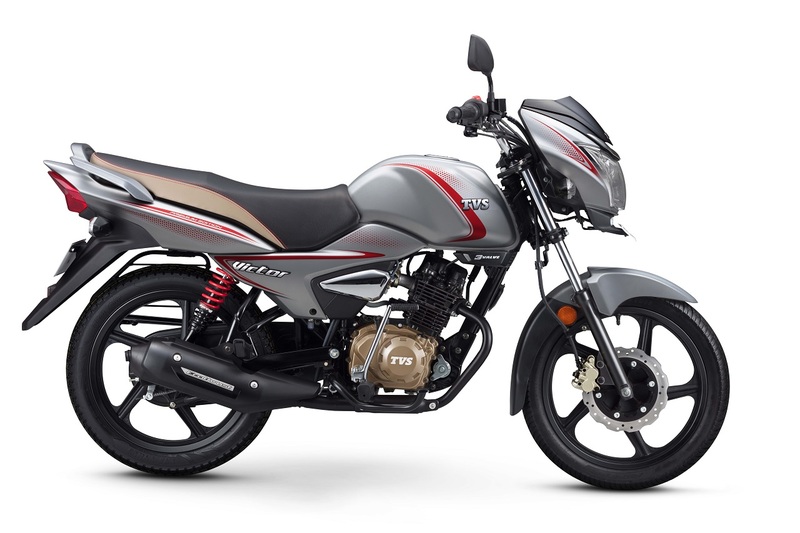 The bike comes with black colour with yellow graphics, and red with gold graphics. Thus, the total colour options for the Premium Edition stands at four. The Premium Edition Matte Series costs INR 55,890, ex-Showroom Delhi. Powering the Victor is a 109.7cc single cylinder 3-valve Ecothrust engine which generates 9.5 PS of power at 7,500 rpm and 9.4 Nm of torque at 6,000 rpm. The engine works in tandem with a 4-speed transmission and the claimed mileage is 72 km/l. The claimed top speed stands at 90 kmph. The Matte Series is INR 1,080 more expensive than the standard disc brake variant. The single cradle tubular frame is held by telescopic fork at the front and a 5-step adjustable series spring suspension at the rear. The Premium edition gets a front 240 mm disc brake as standard. The rear uses a 110 mm drum unit. The TVS Victor gets an 8-litre fuel tank; and the bike tips the scales at 113 kg, kerb. The regular variants of the Victor are available in six colours and in front disc or drum options.